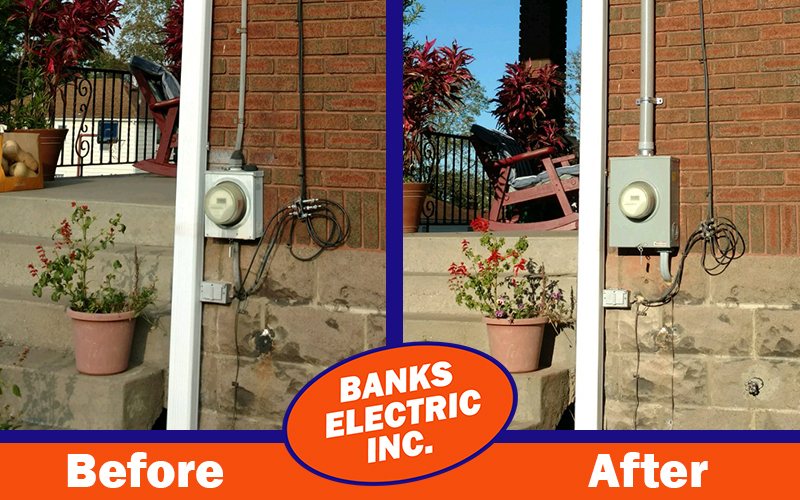 Home | Banks Electric Inc.
Our trained and certified electricians will ensure that your electrical system is working properly and safely. When you are in the need for electrical work or repairs you can count on Banks Electric to perform quality work and make educated recommendations to ensure the safety of your family and property. 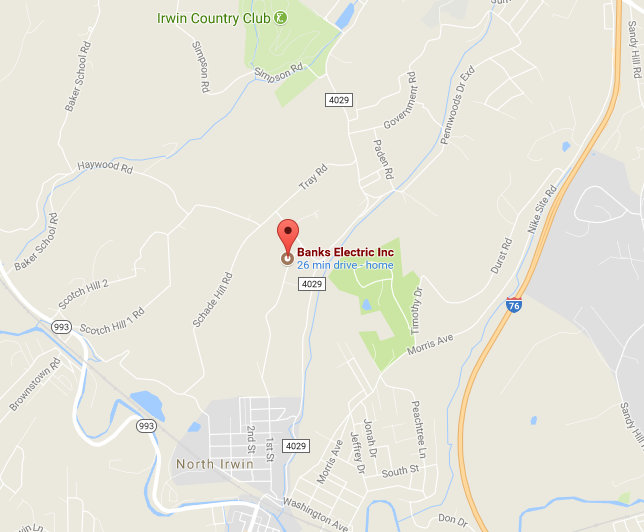 Banks Electric Inc. has been serving North Huntingdon, and the surrounding areas for over 50 years. We value our customers and always put customer safety first! We offer value and quality service. Remember, the lowest bid is not always the best bid. Especially when it ensures the well-being of your family and your home. Hours of operation are Monday through Friday from 8 a.m. to 4 p.m. We offer evening service by appointment only, and as always, Emergency Service is 24/7. Our residence was built in 1924. The electrical wiring was that of a “knob and tube” circuit configuration. Or as some might state “Thomas Edison wiring”. An older home with very old wiring means challenges that are not normally found in a modern residence. Joe Bank’s knowledge of his trade and the challenges of rewiring an older home means we feel confident that the service Banks Electric provided was top notch and professionally completed. Our experience and long relationship with Banks Electric is that of excellent work with value added for each job completed. 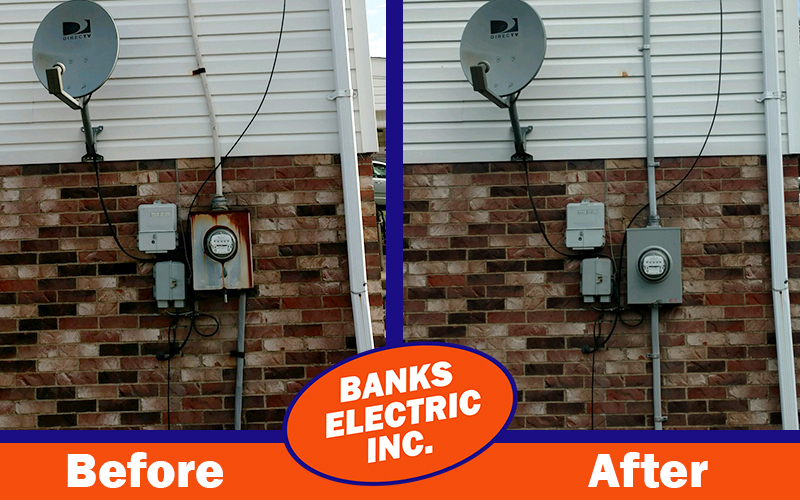 Banks Electric Inc. (“Banks Electric”) has provided residential electrical service to our residence for almost 20 years. Their workmanship is second to none. We have always been pleased with their final product. Each job is completed in the time Joe Banks says it will be completed. His electricians are helpful, skilled at their trade and provide insights to help completed the job in a most efficient manner. After a day’s work and after the job is completed cleanup is always done. They leave the job site the way they found it. For more information call us at 724-863-3034 or visit our Contact Us page. At Banks Electric, we offer residential and commercial electrical service in western Westmoreland County and surrounding areas. Whether you are a home owner or have a business we can provide you with safe, quality service. Standby and portable generators including Eaton products. To schedule an appointment call 724-863-3034 or visit our Contact Us page.